If Generation X were to ever hold an election for president - my exploratory committee is already in place. Without revealing my age, let's just say that I'm a child of the 80's - growing up during the best years we have ever known. One of the true visionaries of that defining decade was undoubtedly Jim Henson - from 'The Muppet Show' to 'The Dark Crystal' to 'Fraggle Rock' (yes, 'Labyrinth' too) - Henson brought incredible imagination and seemingly inconceivable innovation to his works, but his untimely death would rob the world of one of the most creative souls to ever grace the planet. 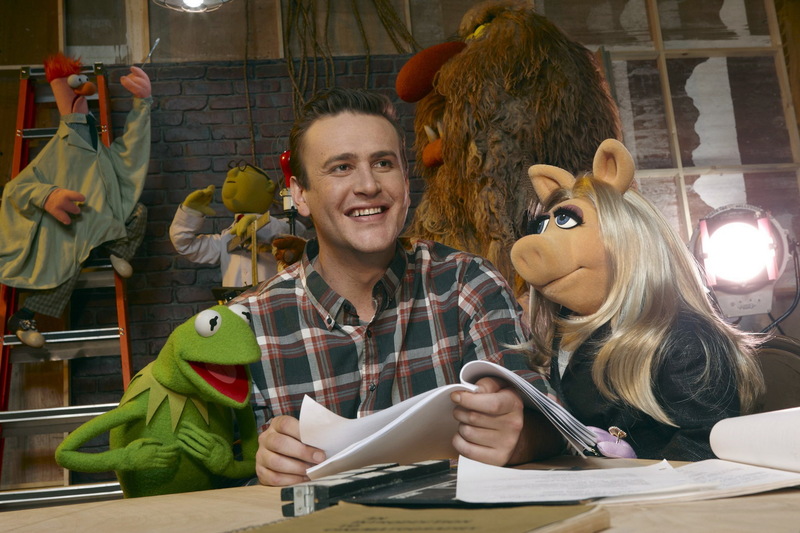 The ultimate praise for the return of 'The Muppets' - Jim Henson would be immensely proud - it's a luminous and loving tribute to the man who breathed life into nothing but felt and faux fur. The last time we saw the Muppets on the big screen was '99 - Gonzo was seeking his alien family in the mess of movie "Muppets From Space". The franchise laid dormant until Disney snapped up the Muppet name in 2004 and decided to bring Kermit and crew back to life. Actor/writer Jason Segel (Forgetting Sarah Marshall) begged for the opportunity to get involved in the revival and thankfully he and now we got what we wished for - an endlessly entertaining reintroduction to the Muppets thanks to a super smart script that offers some of the biggest belly laughs in ages. Segel plays Gary, an average guy from the adorable burg of Smalltown, USA - average as in his brother is a Muppet named Walter. It's a plot choice that sounds bizarre, but turns out to be brilliant. Their relationship feels organic - the brotherly bond the vehicle for a glorious nostalgic trip back to 1976 - when 'The Muppet Show' made its debut. Walter's immediate kindred bond with the creatures he sees on TV leads to a life of longing to belong - a longing that eventually leads to a trip west to the Muppets Studios in Hollywood. Walter and Gary joined in the trip by Mary (a impeccably cast Amy Adams) as the trio arrive to find that the Muppets have fallen on destitute times. The studios are in disrepair and an evil oil barron (Chris Cooper hamming it up to perfection) is about the raze the joint and take ownership of the Muppet name. Walter, Gary and Mary then set out to reunite the Muppets for a name-saving telethon - revealing more of the plot would be criminal - it's an experience that demands to be soaked in without spoilers. With a comic sense oft in line with the Zucker Brothers' classic 'Airplane' - 'The Muppets' comes together in a fashion that is downright magical - fusing elements of Broadway musical, slapstick comedy and (kid you not) tear-jerking emotion. Segel has scripted a razor sharp screenplay that may just get an Oscar nod - it's that impressive. I could go on and on with the plaudits but it's really this simple - 'The Muppets' is one of the most entertaining movies to grace the screen in years and if you are a card-carrying member of Generation X - you'll sit in your seat with a sublime smile on your face as its magic makes you feel alive once again.